Looking for a USED 2M2217A? 2M2217A is mainly used for honing holes of cylinder body and sleeve holes for various engines and other accurate holes. 3.The diameter of the honing head can be varied in the honing process according to the user need. Xi’an AMCO Machine Tools Co., Ltd is a professional company who are specialized in producing, researching and developing and supplying all kinds of Machines and equipments. The products concerned include Engine Rebuilding Machine、Metal Forming machine、Metal Cutting Machine With several year experience in this field, AMCO machine tools has gained a deeply understanding of the quality of the machine in famous domestic manufacture, it help us to supply the most proper machine according to customer different requirements. 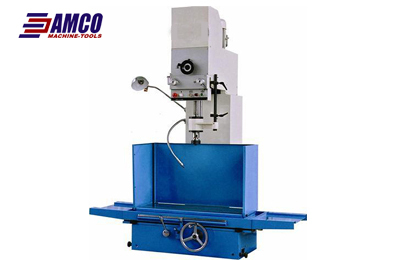 View more about Xi'an Amco Machine Tools Co., Ltd.